The state’s timber industry, worth $11 billion according to sector figures, is not only lucrative but politically powerful –so much so that the science behind timbering is conveniently ignored. Tomorrow, some of the industry’s most powerful players, including Hunt, will appear before the Joint Legislative Commission on Energy Policy. Lawmakers, including Republican co-chairs Rep. John Szoka and Sen. Paul Newton are scheduled to hear a presentation tomorrow from Hunt and other timber industry representatives about the state’s market for timber and wood pellets as energy sources. 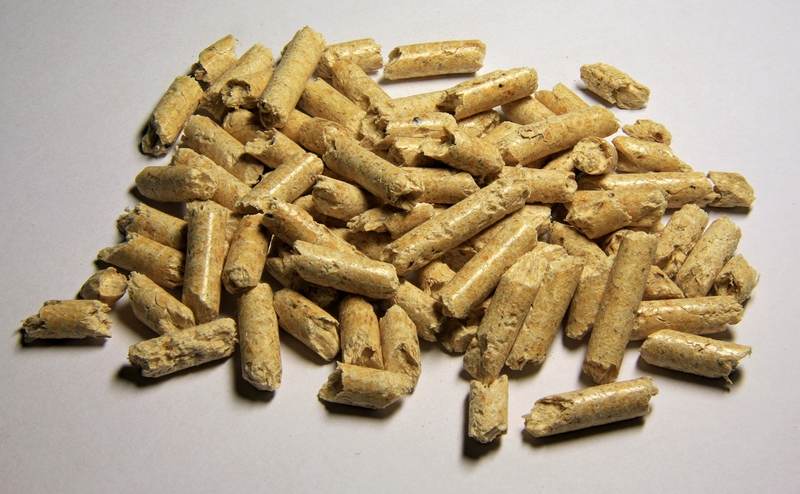 The wood pellet industry already has a foothold in North Caroina. Enviva has three plants in eastern North Carolina — Ahoskie, Faison and Garysburg — and is building a fourth in Dobbins Heights, a low-income, Black neighborhood near Hamlet. These pellets are then transported by rail to the Port of Wilmington for shipment to Europe. Attendees will likely hear a lot of sunny pronouncements about replanting the forests, cutting trees as a method of “timber management” and other rationalizations for using wood for fuel. But the science has shown that burning wood releases large amounts of carbon dioxide, in some cases more per unit of energy than coal. And carbon dioxide is a major contributor to climate change. In addition, trees store carbon dioxide; forests are known as “carbon sinks” because they retain it rather than releasing it into the atmosphere. But the very act of harvesting trees releases carbon, not just the burning of them. Attendees tomorrow will likely hear that the industry uses predominantly waste wood and low-grade wood fiber to manufacture the pellets. But that’s not entirely true, either. With those sources nearly exhausted, industry has turned to whole trees, and not just softwoods, but also hardwoods, especially in North Carolina. These hardwood forests, some of them in sensitive wetlands, regenerate much more slowly. As to be expected, the issue is underpinned by politics. One of tomorrow’s presenters, the NC Forestry Association, belongs to lobbying group NC Forever. As Policy Watch reported last month, NC Forever wrangles companies such as Smithfield Foods and Martin Marietta with trade groups and nonprofits, like Environmental Defense Fund and the NC Coastal Federation. NC Forever’s self-imposed charge is to advocate for funding for land conservation and water quality protection, the definitions of which are malleable in the hands of polluting industries. And finally, if lawmakers craft wood-as-fuel legislation this year, House Bill 476 could show another aspect of its noxiousness. The bill, now law, received a lot of attention because it prohibited neighbors of hog farms from filing nuisance lawsuits for quality of life issues like noise and odor. But HB 476 places the same restrictions on neighbors of timber operations and wood pellet plants. That was not an accident. Tomorrow’s meeting starts at 1 p.m. in Room 643; the audio is streamed. You can contact Dogwood Alliance for more information or other showings. Wood Pellet factories emit large amounts of air toxics that in many cases are under reported. Wood Pellet factories in other states are required to use advanced air quality control technology that is not required in North Carolina. All of the Wood Pellet factories in North Carolina are located in areas with low heath scores and any attempts to limit citizen legal relief from bad air or quality of life matters should be avoided at all costs. Lack of input from NC Department of Air Quality, medical providers and affected citizen groups is especially troubling. We have seen this before with CAFOs especially in Sampson and Duplin Counties.